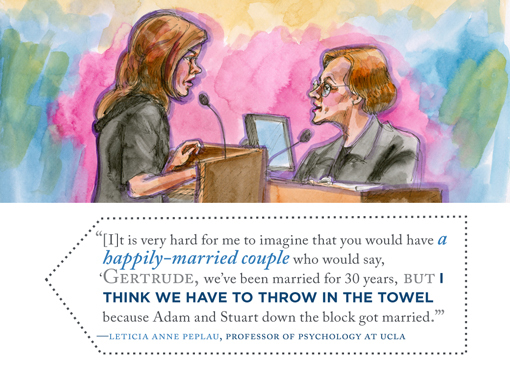 Once Yale Professor George Chauncey‘s testimony concluded on Day 3 of trial, UCLA Professor Letitia Anne Peplau took the stand. 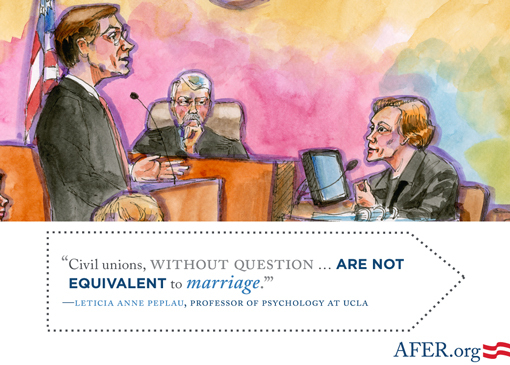 Co-author of Social Psychology, a text book used in many introduction to social psychology classes, now in its twelfth edition, Professor Peplau testified about benefits of marriage for gay and lesbian couples. She explained that marriage equality would help gay and lesbian couples and their children, while having no negative impact on stability of marriage as an institution.